Purchase this bundle and save! Purchase the Sinfonia Color Stream CS2 photo booth printer bundled with Darkroom Booth Software and Save! 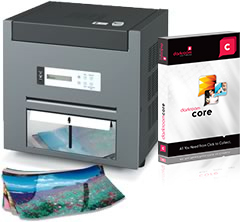 Sinfonia's Color Stream CS2 Photo Printer Bundled with Darkroom Core Software. Buy a bundle and Save!